TMPGEnc Video Mastering Works 6 is an extensive set of tools allowing you to convert, edit, transform, and even create video content from many different sources. Each process does not interfere with the others, and provides an incredible interface which is capable of reaching the output in the quickest time. Import, edit, enhance, and encode your videos with the easy-to-use interface preferred by users the world over. Add video clips in practically any format. Cut-out unwanted scenes. Correct and enhance your video and audio. Then encode to the format of your choice using custom settings or templates for popular formats. Among its features is support for many input and output formats, detailed parameter settings, fast and precise cut-editing, video format conversion, compression, material creation, and much more! This best video encoder around now supports 8K video output with H.265/HEVC. TMPGEnc Video Mastering Works 6 is designed only for 64-bit architecture environments. Along with this enhancement, the application is capable of using an outstandingly large memory size. Therefore, editing operations that contain ultra HD editing, complex filtering, file importation, video rendering, clip and layer copying in the Timeline mode, etc. become much easier to handle. You practically don’t even need to install external CODECs; you can edit and output without needing any knowledge of these formats. Furthermore, you can select a specific import title clip within a Blu-ray (BDMV/BDAV) or AVCHD file. 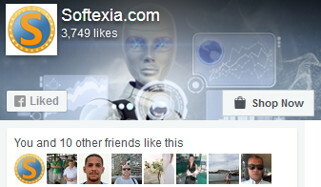 And by using the thumbnail preview, you can verify the content beforehand and avoid any mistakes. TMPGEnc Video Mastering Works 6 now supports importing and outputting the H.265/HEVC format which is the successor to H.264/AVC and is the latest video compression standard. The next generation codec 265/HEVC which has a higher compression rate compared to H.264/AVC, not only supports ultra high resolutions such as 4K and 8K output, but also further decreases the resulting size for efficient saving and transmitting. Supports importing and outputting using the high quality video 4K/HD video format “XAVC S”. That is advocated by Sony and capable of storing high resolution and high bitrate videos compared to the AVCHD standard. Also, the adopted MP4 container brings accessibility to the format for common consumer use. 10-bit 4:4:4 H.264/AVC Output Support. TMPGEnc Video Mastering Works 6 allows you to specify the profile of the H.264/AVC format up to High Intra 4:4:4. Ithich is possible to set to 10-bit and 4:4:4 full color for the YUV color space. According to this new feature, you can utilize the wide range of the x264 encoder’s specification for H.264/AVC output. High-Speed Hardware Encoder “NVENC” Support. 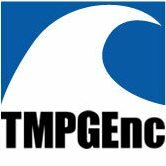 TMPGEnc Video Mastering Works 6 allows you to use NVIDIA’s “NVENC” that is installed on a 600-series and later GPU (Kepler core generation) which supports H.264/AVC high-speed hardware encoding. The picture quality and the encoding speed is highly improved compared to the previous CUDA encoding. WebM and Ogg Output Support. TMPGEnc Video Mastering Works 6 supports WebM and Ogg (Video: Theora Audio: Vorbis) output. Both are open source video formats and focus on high quality video with low file sizes. And are mainly used for playing on Android devices (WebM) and browsers such as Google Chrome or Firefox with the HTML5 video tag. FLV Container File Output Support. TMPGEnc Video Mastering Works 6 allows you to output and store a H.264/AVC stream within a “FLV” container. By using this, you can create a file for Internet streaming distribution or an embedded video on the web. Capture From the bluefish444 I/O Board. Supports capturing the video and audio from the greatest quality I/O boards, “bluefish444 Epoch 4K Supernova / Epoch 4K Supernova S+”. Converts the capturing data in realtime to a H.264/AVC data file. This function allows you to capture and convert 4K resolution video as is, which is the greatest feature of the Epoch SuperNova. DivX HEVC Video File Output Support. Supports the creation of a DivX HEVC video file which supports output resolutions up to 4K (3840 × 2160). You can enjoy high resolution and high quality DivX HEVC video files on DivX HEVC players. Supports animated GIF importation, allowing you to convert an animated GIF file to other video formats such as H.264/AVC or MPEG-2. YouTube and Other New Output Templates. Features new output templates for YouTube, Smart Phones and more, which further enhances the versatility of the software. Fixed: Intel Media SDK functions did not work correctly in some environments where Intel Graphics Driver for Windows 10 ver.25.20.100.6444 was installed.